Hospice of the Valleys is a local, community-based, nonprofit hospice. 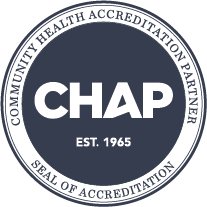 We are a Medicare certified hospice and accept Medicare/Medi-Cal and most private insurance plans. 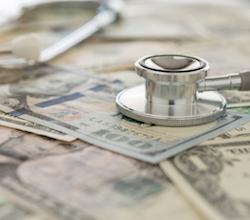 If you have Medicare insurance, whether it is straight Medicare, HMO or PPO Medicare plans, your hospice care will be 100% covered under the Medicare Hospice Benefit. Hospice care is provided to the patient where they live, whether that is in their home, nursing home, board and care or assisted living. We are happy to help by contacting your insurance carrier to coordinate your hospice benefit. Thanks to the generous support from our community, we do not deny care for those due to lack of insurance or inability to pay. 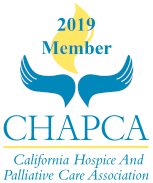 As a trusted member of our community, Hospice of the Valleys, a nonprofit 501(c)(3) has been providing hospice care to the Inland Valley and Fallbrook for 35 years. Thanks to the generous support from our community, in the form of donations, memorials, fundraising, grants, and bequests to support our mission to provide excellent care to the community, we do not deny care for those due to lack of insurance or inability to pay. Please give us a call, we’re here to help. 951-200-7800.